"Titanium Flows like honey...but it's pretty sticky too!.. " Tig Welding Titanium is hard! Tig Welding titanium is easy! I said it’s hard and it’s easy. The answer is YES. What do I mean by that? The 3 c’s also come into play: Clean, Clean, and Clean. Titanium has to be very clean from oil, grease, coatings, and oxides before welding takes place. 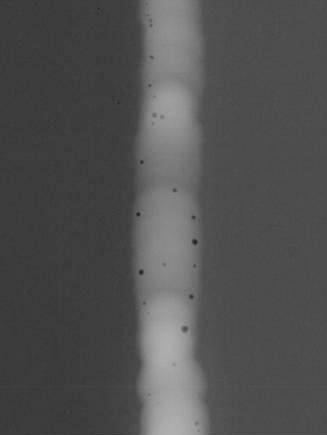 Oil or grease will cause porosity like you see in this x-ray negative of a titanium weld. But porosity is the least of your problems. 1. Using a filler rod other than titanium (like stainless steel or nickel alloy rod). If you weld titanium with anything other than titanium, you will hear the sound of the weld cracking like glass: tink, tink, tink… you can actually break the weld by tapping it lightly with a ball peen and man is it brittle. 2. Not shielding the back side of the weld with argon. 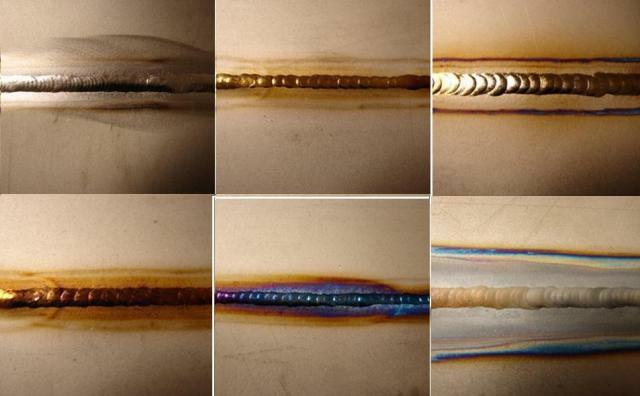 If what you are welding is thin enough to penetrate or even get red hot, you absolutely must shield both sides of the weld adequately or the weld will be very brittle. 3. Not using a large nozzle/cup or trailing shield to shield the weld puddle. 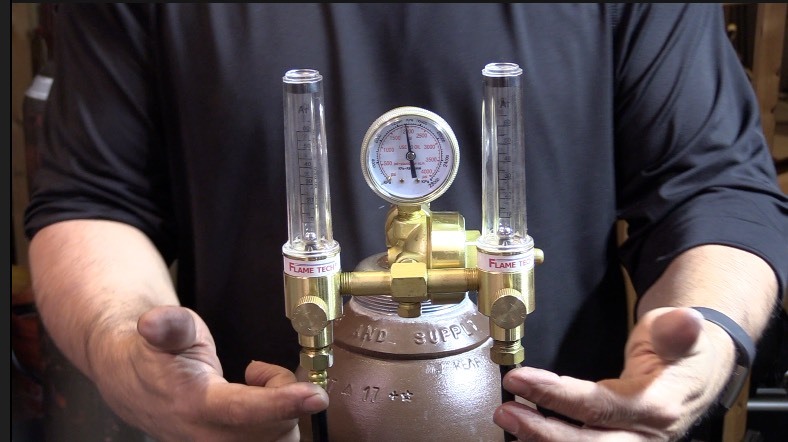 Using a normal size nozzle like a #7 (7/16” diameter) will not effectively shield the heated area to prevent the embrittlement that occurs when titanium gets too hot without shielding gas. Titanium absorbs elements like oxygen and nitrogen at these temperatures and depending on what reference you use, 800 deg F. seems to be the cutoff for keeping it argon shielded. Discoloration on titanium is not a problem by itself and is more of an indicator that there might be a problem. Because it is known that it happens in a certain sequence: straw, brown, purple, blue, dull salmon pink, grey with oxide flakes. It is part of the inspection criteria. These images show the varying levels of discoloration. Some welding codes limit discoloration to straw color. 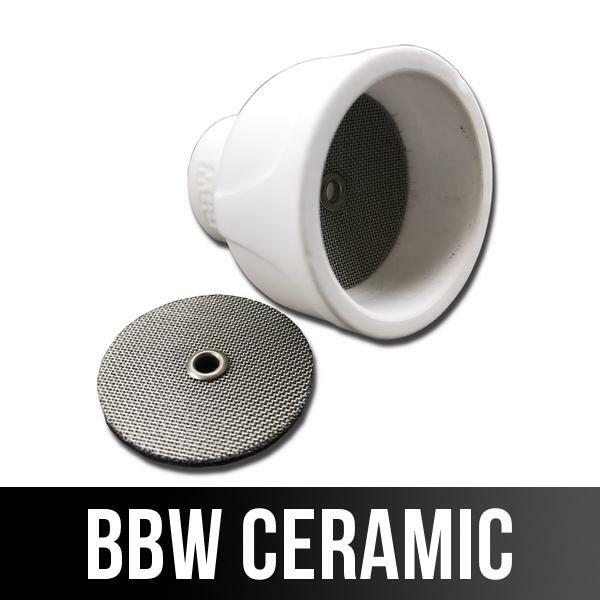 Some welding codes allow a little blue discoloration in certain applications. 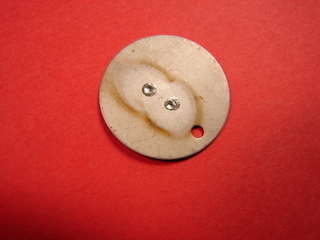 Ideally the weld will be perfectly silver like the first weld shown. That should be the goal. Light straw and even brown discoloration can be acceptable if the discoloration is on the welded side. Discoloration on the penetration side of a full penetration weld means that the actual puddle was exposed to contamination from air. That’s why purge monitors should be used to verify purity of purge when welding titanium. The old school BIC lighter won’t cut it. Can I tell you a secret? It never did. Even on stainless steel 4 % oxygen would sugar a weld root and would still blow out a BIC lighter. Tip for building a Titanium Glove box Welding Chamber...Dont! Buy a blast cabinet and convert it. Why not build it yourself? because by the time you buy the metal, bend it, weld it , buy the gloves and fit in the plexiglass, you can spend a ton of money and time. Why not just buy a blaster cabinet from Northern tool or Harbor Freight and be way ahead of the game. leave tig welding titanium and see more TIG Welding videos You only get one shot with titanium and since you often have to use oversize homemade or non standard cups/nozzles to get adequate shielding, you better check everything out first to make sure your shielding works. A titanium disc like the one shown here comes in really handy whether you weld in a chamber or outside with oversize cups and trailing shields. In fact it’s an excellent way to make sure your shielding gas coming out of the cup is good no matter what kind of metal you are welding. You just puddle a small area for a few seconds and then terminate the arc and hold the torch still. If you get any discoloration other than slight straw, you may not have good enough argon shielding to weld titanium or anything else. I recommend carrying one of these titanium weld test coins on your key chain.